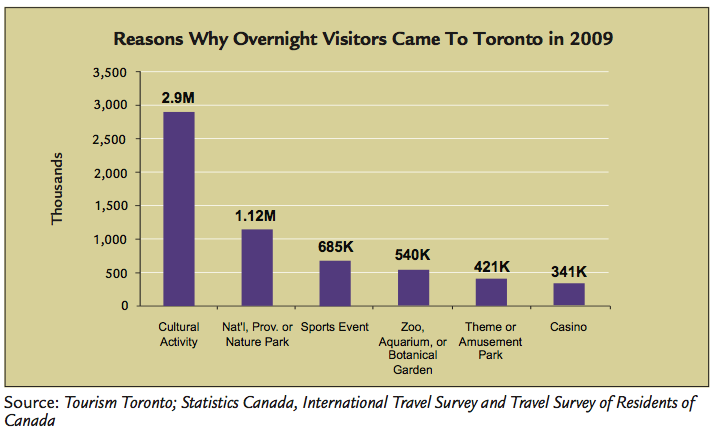 This graph gives a sense of the low tourism value of casinos as compared to arts and culture activities in cities. This is a well known fact, yet British Columbia has failed to develop the type of competent cultural economic plan or tourism economic plan that we see in other provinces. BC’s wholesale slashing of arts investment (unique in Canada) and its destruction of Tourism BC indicate to us that the government lacks a plan. The reliance upon gambling expansion is not just lazy, it’s economically unwise. It’s likely that given the combination of global troubles and online gambling the bottom will fall out of casino establishment gambling profits. In addition, cultural tourists generally come from a higher economic bracket, are more educated, and spend much more money at their destination. Given these facts, it ought to become more obvious to Vancouver and the whole of BC why arts organizations, who were illegally made ineligible for BC gaming grants in 2009, banded together to fight the Edgewater mega-casino proposed for downtown Vancouver. Why are the tourism and arts sectors not being adequately consulted on a strategy and adequately subsidized as all other sectors are? They could bring billions into the Vancouver and BC economies. Why does the BC government refuse to understand, the way Ontario and Quebec do, that arts are a key factor in an economic plan? Both have state gambling (yet far better regulated than in BC) but they offset this with financially smart stimulus to arts and culture. It’s time for BC to get it together. One must also add that arts and culture are part of a green economy, and bring no downside with them. With gambling however, there are increasingly strong stats that show its costs outweighing its profits, possibly 3 to 1. We heard this from many gambling experts during the hearings at Vancouver City Hall. For more information on the economic benefits of arts and culture investment and cultural tourism, see post at Stop BC Arts Cuts. Your opposition and your numbers were duly noted by council, media and the public. Photos by Georgia Straight photographer Stephen Hui are here. We were joined by Olympic poet Shane Koyczan, May Brown, Retired Judge Ian Pitfield, Setty Pendakur, Ken Lum, Brian Jungen, Bing Thom and many other Vancouverites. All the media were present. Thank you everyone. You can see Shane Koyczan talk about political involvement and being heroes here (or scroll to bottom). It was an excellent session at City Hall on March 8, largely dominated by opponents of the casino expansion. Speakers #14 – #32 gave presentations. There was also an 8:30 session in which councillors asked questions of city staff. We heard many excellent speeches to Council including those by coalition members Tom Durrie (Pres. of Grandview-Woodland Area Council; video below), and Patsy Macmillan and Fern Jeffries (co-chairs of the False Creek Residents Association). Hilary Reid, a gambling expansion researcher, gave a harrowing talk on the social and economic impacts of gambling, and Colleen (Hardwick) Nystedt, (daughter of Walter Hardwick), who worked on a city panel for the BC Place Stadium site, gave a brilliant presentation critiquing the planned use for the site and detailing the utter absence of public consultation over many years and councils. 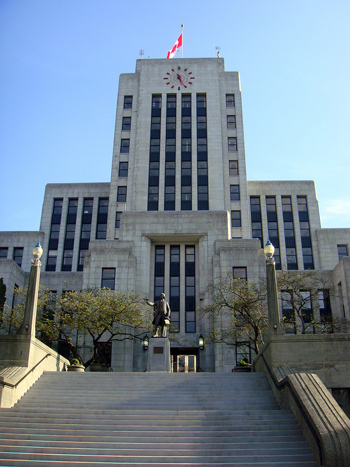 The March 14 evening hearing began with sessions with the VPD and City Hall’s medical officer, and then proceeded with the speaker’s list for speakers #34 – #59. Three members of our coalition spoke (Sandy Garrossino, James Johnstone, Sean Bickerton) as well as former City Councillor Peter Ladner, former planner Nathan Edelson and many others. NEXT HEARINGS: APRIL 9, 10 am – 6 pm, and April 10, 1-6pm. Please attend! This comprehensive presentation was made to Vancouver City Council by gaming expert Hilary Reid on the first day of public hearings on the proposed Edgewater Casino expansion. Mayor and Council, thank you for seeking public input on the Edgewater Casino expansion. “I want to build an economy based on winners, not losers, and gambling is always based on losers. The only way government makes money on gambling is because you lose it.” (as quoted in The Vancouver Sun, Oct. 8th, 2009). 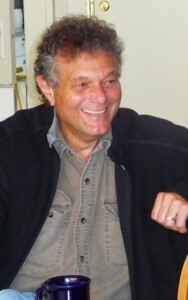 The speaker went on to become the Liberal Premier of BC. His name is Gordon Campbell. 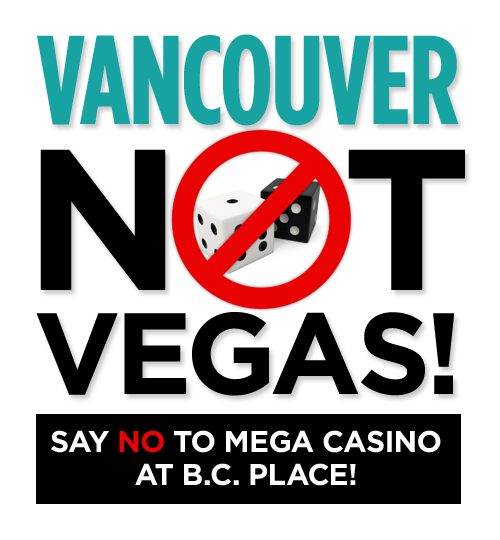 I address you as a long time Vancouver citizen, as a post secondary educator, and as someone who has done a lot of research on the effects of gambling expansion in North America. Mayor Robertson, in a recent Vancouver Sun article on the 2010 Olympics, you stated that “We will pursue our goals to be the world’s greenest city, the safest city, and the most liveable city….a city of compassion, where we strive to make sure none are left behind.” (Vancouver Sun, Feb. 12, 2011). These are worthy goals, but will call for some hard choices. One of these choices is before you now. You will not be able to both approve this huge casino, and achieve these stated goals. 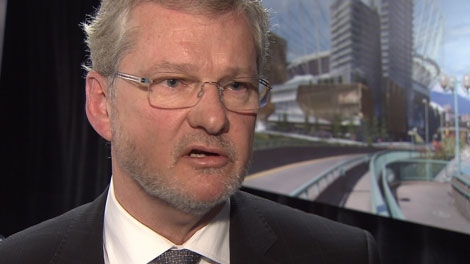 These are the facts: Whatever Premier Campbell has said, whatever PavCo has said, an expanded casino at B.C. Place stadium has never been discussed or approved by Vancouver City Council. 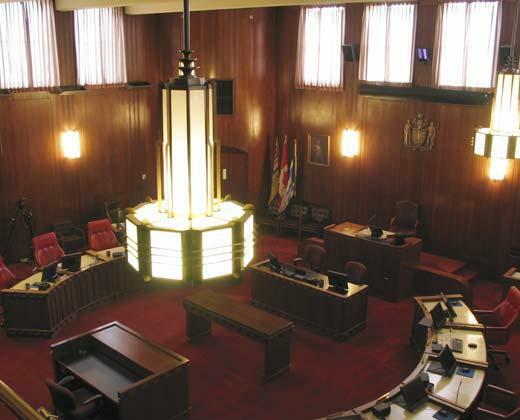 The current City Council agreed on Oct. 22, 2009 that a casino was an approved use at B.C. Place (there’s already one across the street). 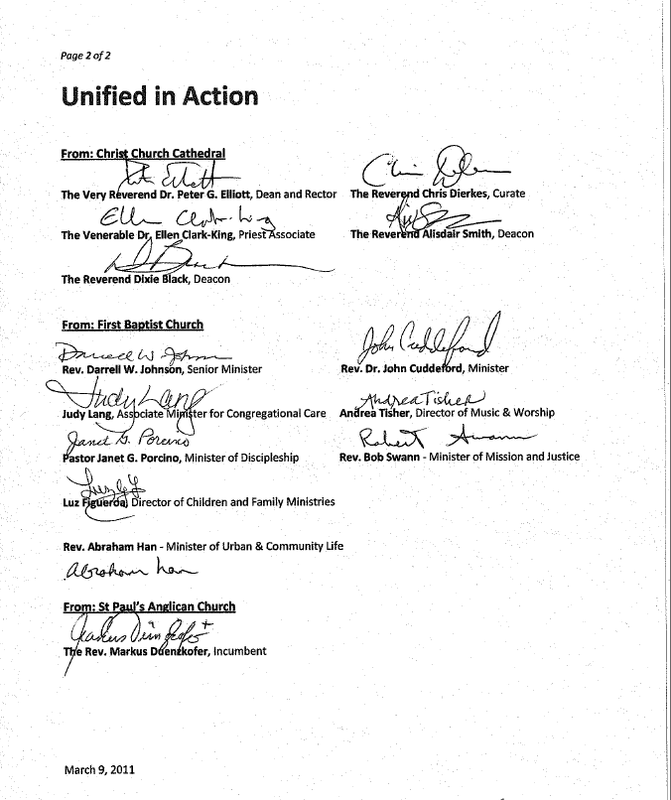 BUT nowhere in the Oct. 22/09 policy statement was there any discussion about an expanded casino. The size of the casino was never debated. 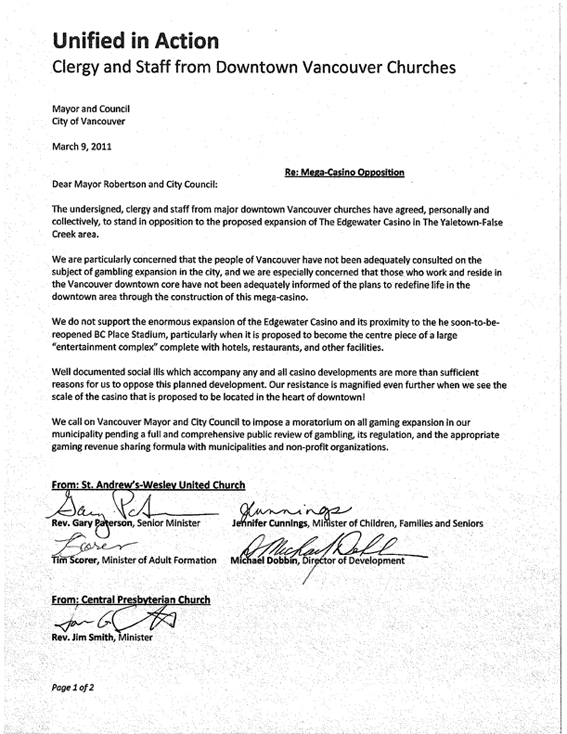 The staff recommendation to amend the False Creek North Official Development Plan, approved at a Sept. 16, 2008 council meeting, made no mention of an expanded casino. Nor does the word “casino” appear anywhere in the minutes of the Sept. 16 meeting, or in the minutes of an Oct. 18 public hearing following it. Those zonings would have to be referred to a public hearing before becoming policy. This in no way constitutes council approval for an expanded casino.